Students visit the THREADS table at Kean Day. 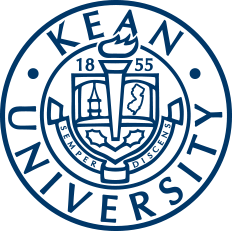 Kean has an organization to go along with any interest, whether that be art, accounting or theatre. The niche for any student with a love for fashion is THREADS. THREADS is a club dedicated to teaching students and letting them explore the various aspects of the fashion world, such as design, modeling, makeup and recruitment. 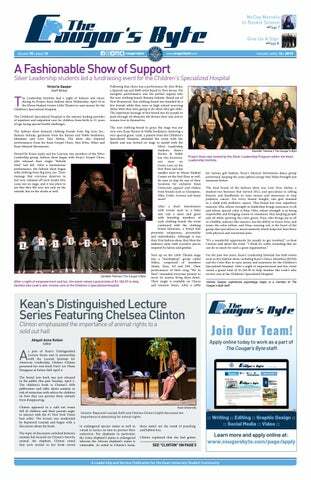 The organization has been active at Kean since the fall semester of 2016. The current executive board of the organization includes President Kevin Preko, Vice President Tania Stokes and Director of Public Relations Tyshiana Johnson. Johnson is a junior public relations major and has been a member of THREADS since her freshman year in fall 2016. She said she originally joined the club in order to make connections on campus and find an outlet for the affection she had for fashion. “As a commuter student from Rahway, I found it hard to make new friends. I have always had an interest in fashion, but did not know anyone to be involved in the industry. Seeing the THREADS table on Kean Day during my freshman year gave me an opportunity to fix both of those problems,” Johnson said. THREADS has a mission that goes deeper than just the surface of the fashion world. Apart from helping members to build skills in their specific fashion interests, the group also places a large emphasis on teaching its members how to build connections and succeed in the industry without having to rely simply on talent. To go along with the diverse aspects of the fashion industry, THREADS organizes a wide set of activities in order to encompass all of those aspects. Events they have held in the past have spanned anywhere from photo shoots to sewing lessons to more informational occasions. “Typically, we hold fashion shows, panel discussions, networking events and we've just added some trips for members to just chill and have fun," Johnson said. So far this semester, THREADS has made appearances at events such as Kean Day, and members are in the process of organizing more to come. "We have some small events planned for this semester and we have something really great things [planned] for spring 2019, but it is a surprise," Johnson said. Johnson believes that being an active member of THREADS is very valuable to students, as it allows them to express themselves creatively in and outside of Kean. Furthermore, she trusts that participants can leave THREADS equipped to skillfully navigate the fashion industry and succeed because of the background the club helped them build. "The organization gives people a chance to use their skills, whether it be with each other or with connections they made with people outside the organization," Johnson said. "People gain confidence, a better understanding of the industry, experience, as well as responsibility to make these events come to life." To get involved with THREADS or learn more about the organization, visit their page on Cougar Link.